LTL shipping is a popular option for companies all around the U.S. Nine factors affect your LTL freight rates. Here they are. Weight. LTL shipment rates are figured per hundred pounds. Expect to see the rate per hundred pounds get lower the heavier your shipment. Density. You need to know a shipment’s density to figure out its classification, the next factor that affects your rate. To figure out the density, determine the dimensions of the freight, typically the dimensions of the pallet, and multiply it by the total height of the shipment including the height of the pallet. Then divide the total weight of the shipment by its total cubic feet. Freight Classification. 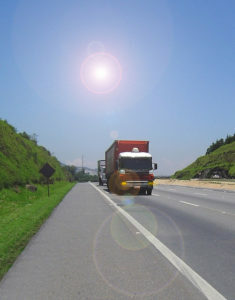 Classification drives LTL freight rates. Classes are determined and published by the National Motor Traffic Association. There are currently 18 different classes starting at 50 and running up to 500. Class itself is defined by density (see above), the shipment’s value and liability, and the ease of loading it on a trailer. For reference, lower classes have lower rates. Distance. Simply stated, the farther the distance, the higher the rate per hundred. When it comes to distance and LTL carriers, it’s important to determine if the carrier provides local, regional or national services. A local or regional carrier may offer to ship national freight for you, but they’ll hand it off to a “partner” carrier which can result in higher rates for you. Base rates. Every LTL carrier sets its own base rate so this varies from carrier to carrier and even lane to lane. Often carriers will adjust base rates higher or lower depending on their need for volume. Freight all kinds. This is an agreement a company can work out with a carrier to ship all freight at the same rate regardless of the classification. Minimums. This is the minimum fee a carrier will charge for a shipment. Extra Services or Surcharges. These are extra services a carrier offers beyond the straight dock-to-dock transport. Services can include lift-gate, inside delivery, special access locations like military bases, prisons, schools, and residential delivery or pickup. Negotiated rates and discounts. If you’ve got a lot of experience shipping, understand freight lanes, seasonal supply and demand and rate tariffs, you can probably negotiate discounted rates with your LTL carrier. Another option for many businesses, even those with a shipping department, is to work with a third party logistics broker, or freight broker. A broker often has negotiated relationships with hundreds or even thousands of carriers around the country. They can save money with lower LTL Freight rates for all your cargo. Plus, you’ll save time since they’ve already done all the work and pass along the information and savings to you.